Organic growth can be an elusive goal for manufacturing enterprises. Yet, when companies identify their goals and objectives for a given year, growth is nearly always included near the top of the list. This is especially true for local and regional enterprises that are trying to expand their footprints into more highly diversified markets and larger geographical national or global markets. For many enterprises, especially those that are currently operating via a direct or single-channel sales organization, the lure of adding channels and going to an indirect model is strong. After all, who isn’t intrigued by the idea of expanding the sales force without adding the overhead that comes with additional feet on the street? It sounds so simple. Find distributors, agree on a cost structure, sign them up and wait for the sales orders to roll in. The operative word being wait. Well, to borrow a phrase from the late, great Tom Petty, the waiting is the hardest part. There are many challenges for enterprises that want to cross the bridge from direct to indirect selling. Luckily, there are also some sales tools that companies can rely on to offer wide-ranging sales support to multiple-channel sales organizations or even omnichannel sales support. One of these is Configure-Price-Quote or CPQ. Geographical challenges include the need for price lists that are aligned with local currencies and languages. Additionally, most geopolitical subdivisions have their own unique regulatory and legal requirements that are related to selling practices as well as those that are unique to the specific vertical market you are addressing. Finally, there are the assorted logistical requirements to move product from your manufacturing facility into the hands of the buyer or into the inventory of your distributor. New vertical market challenges are those that manifest themselves in terms of special esoteric language and terminology that’s common to the market. This type of knowledge is critical to establishing credibility in the new market. New markets may expect specialized pricing models that align with other established players in that space. Other selling practices may vary as well. Some markets expect online ordering versus onsite calls by sales personnel. You will also need to prepare for buyer expectations after the sale. Training and product familiarity are immediately necessary in order to effectively sell products, and they also frequently require a large investment in time. Sales reps in a new channel will almost always sell what is easiest to sell. If your product requires months of training and time out of the field to learn the product and the business case associated with buying it, many reps will look for easier solutions that they more readily grasp. Sales reps don’t like to waste time talking to prospects who they don’t understand and about applications that they don’t feel credible discussing. CPQ has a special role in addressing all three of these multi-channel sales challenges. Geographical variations in pricing are supported by CPQ by allowing you to build multiple price lists for different currencies, customer classes such as nation accounts or GSA-qualified buyers and to support uniform pricing for international customers that buy your product from multiple sources of distributors. If your product needs to comply with specific local regulations, compliant versions of the product are configured based on usage inputs that are required during the configuration phase. Logistical issues are also addressed by accommodating appropriate shipping requirements for markets that involve extreme distance or extended delivery times. Vertical market differentiation is driven by CPQ in the form of vocabulary and content used in the configuration interview portion of the selling process. Customers or resellers will not be confused by unimportant or inappropriate questions that drive the configuration process. The interview questionnaire can be customized tightly to any market or sales process. Online sales portals are supported for customer-driven configurations as well as for sales reps who walk the prospect through a needs analysis. Expert knowledge will be applied to the configuration, and using a specific language will ensure support regarding the credibility of the product itself and the sales rep who is assisting the prospect. Training requirements will either attract or repulse sales personnel and even buyers themselves. CPQ provides expert data that’s built into the configuration process, which frees the buyer and seller from having to have recallable knowledge of all the important issues relating to your product and its use. This minimizes the time required to memorize specs and other variable data related to the product. Personnel are knowledgeable sooner and are productive without having to spend months in training or bothering experts in your organization for help with sales inquiries. This means they are productive much sooner rather than later. 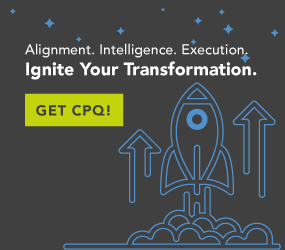 CPQ is your product and data fountainhead that distributes product and sales information in a way that is tailored to any requirement in the multi- or omnichannel selling environment. Every element, customer, sales management, sales rep, order-entry clerk or sales support person will have at their disposal all of the information they need to fulfill their needs and move your product efficiently.